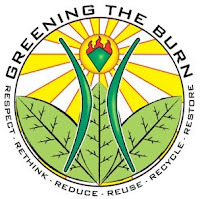 ”Greening the Burn” is a movement within the Burning Man community dedicated to making the event environmentally sustainable. In today’s episode we go to Lightning In A Bottle, a weekend magical adventure produced by the Do Lab that took place in Santa Barbara CA the weekend of July 14 – July 16th 2006. It is here that we interview Kachina Katrina and Blue, the two people involved with greening Lightning In A Bottle and who are also spearheading the Greening Of The Burn movement on the playa. 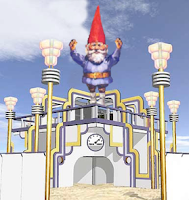 2006 marks the debut of Gnome Camp at Burning Man with the mission of sending 100 ordinary gnomes on 100 extraordinary adventures. Each gnome will be adopted out to participants accompanied with a digital camera to document their experiences throughout the week of the event. For details on how to apply for a gnome of your own, visit their website. This episode takes place at the “No Place Like Gnome Fundraiser” and features interviews from five members of Gnome Camp that includes Phil, Dave (aka Evader), Wikkid (the first real live gnome to be recorded for podcast), Justin and divaDanielle. If you’re playing the 3Playa Community drinking game at home, get yourself a fifth and be prepared for a surprise binge. To assist her personal art project and Gnome Camp as well, DaBomb is joining forces with them and putting the “fun” back in “fundraiser”. Together, they will be is auctioning off a pair of “Gnome Sweet Gnome” dread falls on eBay . All proceeds from the sale these will be split 50/50 to benefit the "Ouija Says" project and Gnome Camp for Burning Man 2006. Auction starts Wednesday, July 12 at 11:00 a.m. PDT. This episode of BURNcast features artist and researcher, Ivy, as she discusses “Fashioning Community” an art project and fashion exhibit she’s developing for Burning Man 2006. But it doesn’t stop there. As part of the overall theme of Dreamtime, the camp with which the project is affiliated, storytelling is key. Each outfit not only has a Burning Man story, but a personal one, and usually one that reflects community. However, as Ivy began to start collecting materials for this project, she found that the figures – the mannequins -- also had histories and stories of their own to tell. Read more about these stories on Ivy’s blog. For those playing the 3playa Community Drinking Game at home, it was Ivy’s intention to make this episode of BURNcast the most inebriating celebration of community (drink!) to date.